Former Riverdale girls basketball coach Cory Barrett has landed a new head coaching job. 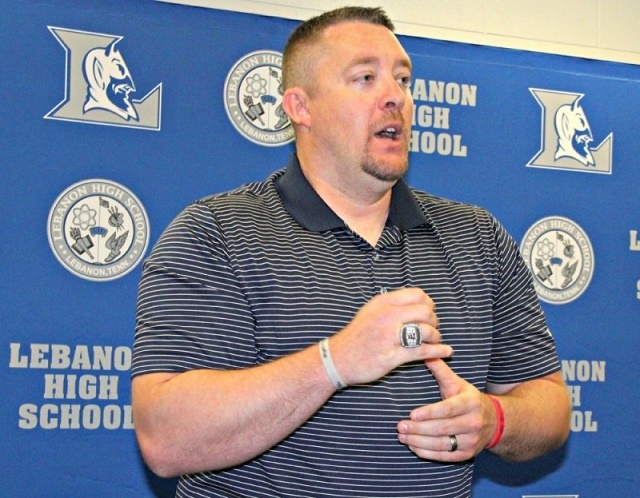 He'll take over the girl's basketball program at Lebanon High School. You'll recall Barrett was coaching Riverdale in February when his team faced Smyrna in the district tournament consolation game in which both coaches attempted to throw the contest. His team and then Smyrna coach Shawn Middleton's team were removed from the postseason by the TSSAA and fined 15-hundred dollars. After that, Rutherford County Director of Schools Don Odom suspended Barrett and Middleton for a year. Both Riverdale and Smyrna have new coaches. Randy Coffman has taken over as the head coach at Riverdale while Bud Brandon is the new coach at Smyrna. Barrett takes over a team that went 9-and-18 last year. In 2013,he led the Lady Warriors to a record of 35-0 and the 2013 Class AAA state championship, as well a national championship.